A movie review of ​THE BIG SICK. Most rom-coms are so generic. The situation has got a little upsetting for a film fan. Prep is required to steel yourself for the formula, and the lack of connection to the real world. At their worst, the genre sells a lie about romance, making the audiences arguably desire relationships that are not feasible, and do not offer any insight/guidance in the most difficult part: How to maintain a bond over years and decades. I was rooting for THE BIG SICK, but it largely left me underwhelmed. Its saving graces: Being laugh-out-loud funny, and the gravitas brought by Ray Romano. ​Who would have guessed Ray Romano is a good actor? How many would place his dire TV show, EVERYBODY LOVES RAYMOND, as their number one favourite sitcom? His turns in the ICE AGE movies, and HBO show VINYL, are one-note sad sack. Here, though, he is a revelation, layering his performing persona into something nuanced. Romano is normally the straight man to more zany characters – he actually quietly steals THE BIG SICK. ​Star and co-writer Kumail Nanjiani is hilarious. If you use Twitter, check him out. Nanjiani continually has one rolling around on the floor laughing. Even in minor roles such as BAD MILO, he is a standout. Watch the DVD extras for him riffing on scenes, delivering alternate jokes. In THE BIG SICK, Nanjiani’s deadpan observations are on point (though sometimes the character unnecessarily explains to other cast members he is joking). 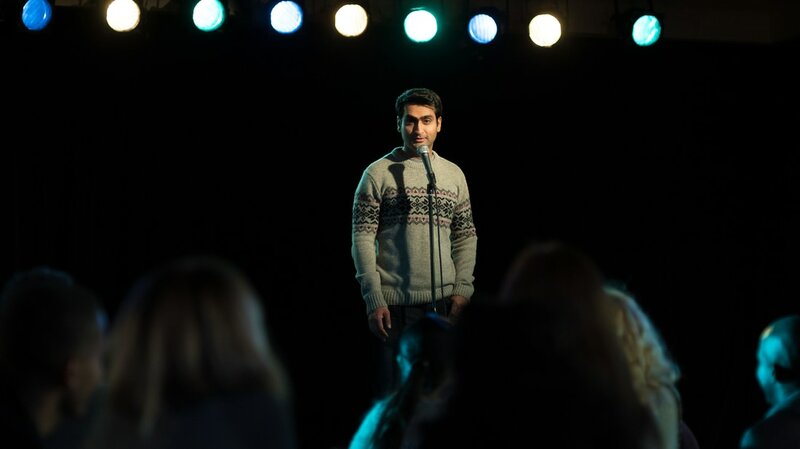 Nanjiani’s comedic skills are why it saddens me to opine on his ability to convey sentimental emotion, which seems out of his wheelhouse – maybe on the surface that’s a criticism, maybe that shows a genuineness as a performer? It was a wise choice in employing Zoe Kazan as co-lead, an underrated thesp. She does the acting heavy lifting for the two. He provides the levity. For me, living in a big metropolis, the fact that cinema and television are still talking about interracial/inter-cultural romances shows how surprisingly little the world has evolved. In this time of Brexit and Donald Trump, tribalism is still disappointingly front and centre. Culture clash romances are tired to someone who wants to embrace and learn about all cultures. There are some engaging modern examples, from BEND IT LIKE BECKHAM and AE FOND KISS to JAPANESE STORY and MASTER OF NONE season one. 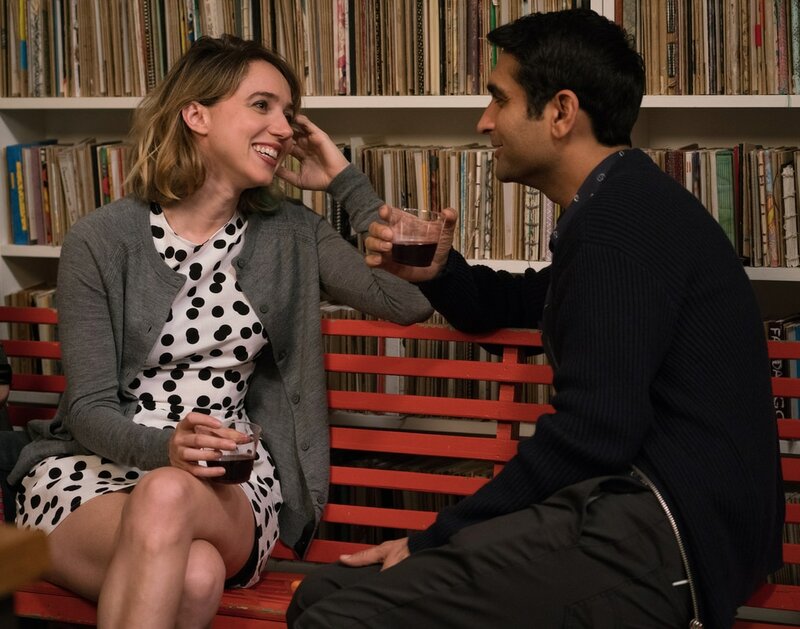 THE BIG SICK adds very little to the discussion, beyond encouraging courage – maybe that’s enough of an ask from a comedy?